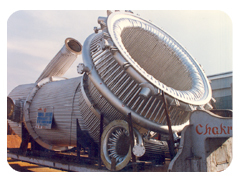 TSPL with its specialization in Waste Heat Recovery Boilers for various applications, especially with similar process requirements of Non-Ferrous industry experience, can offer Tailor made solutions for Steel furnaces for recovery of Heat to generate high pressure steam and thereby Power, for this captive power intensive industry. 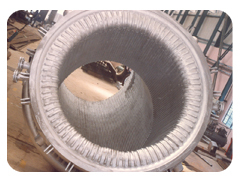 TSPL has developed special water tube designs with forced circulation to ensure longer availability. TSPL is currently bidding and negotiating with prospective buyers. All the above products are of water cooled membrane (Tube-flat-Tube) type. 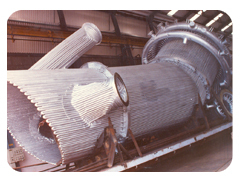 TSPL has supplied these products to almost all the Steel Plants in India such as JSW STEEL, VISA STEEL, ESSAR STEEL, ROURKELA STEEL PLANT, BHILAI STEEL PLANT.